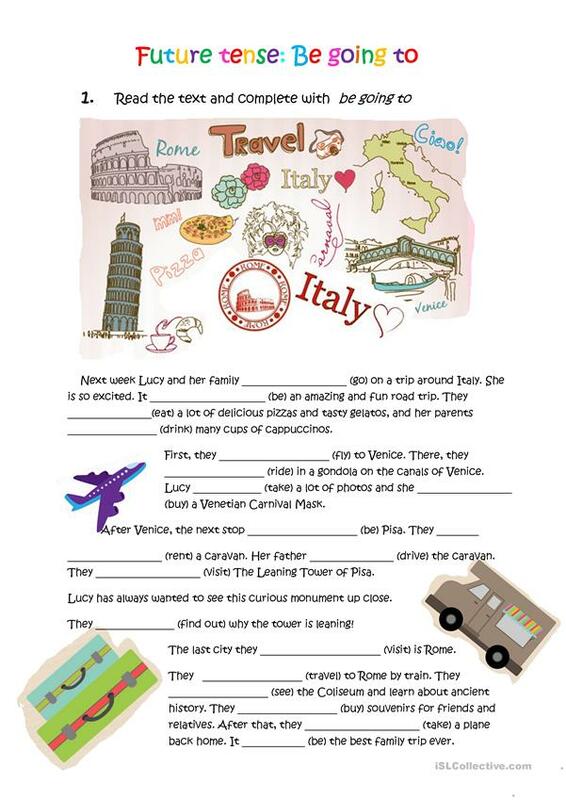 A worksheet to practice "be going to" and to revise the past simple tense. 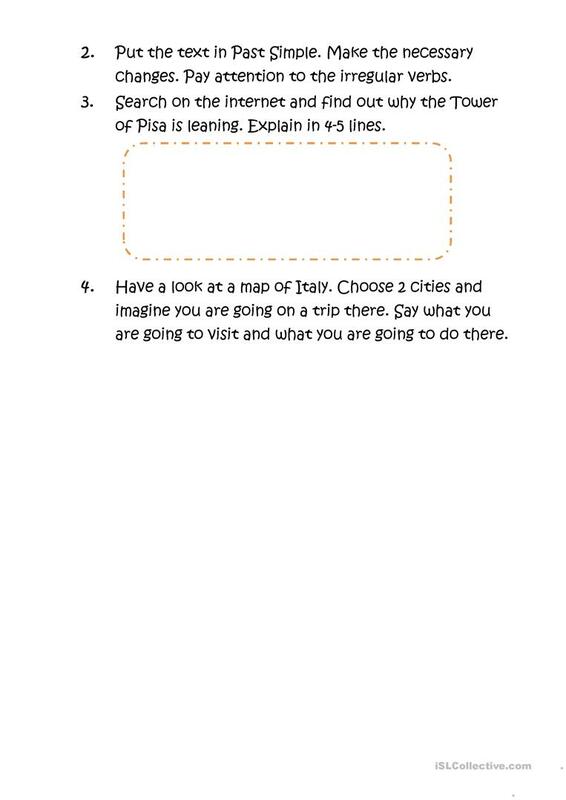 This downloadable teaching material is intended for elementary school students at Elementary (A1) and Pre-intermediate (A2) level. It is valuable for teaching in English, and is excellent for strengthening your learners' Reading and Writing skills. It is focused on the topic and words of Travel. Veva is from/lives in Spain and has been a member of iSLCollective since 2012-06-07 00:15:58. Veva last logged in on 2018-07-23 15:52:55, and has shared 1 resources on iSLCollective so far.